Lulu does NOT always carry these pants. And when they do you have to stock up! I wore these into the hospital when I went into labor with Harriet. And I also wore a different pair in the same size out of the hospital. That is how resilient they are. I wore both pairs after pregnancy, and now into this pregnancy. They stretch to accommodate your growing body (not just belly – trust me on this one) and bounce back with a proper wash. I have owned one pair of Skinny Grooves for four years, and one for three years. These are very similar to my “Groove Pant” which it appears they no longer have online. Very similar to the story above. I wore them throughout my entire pregnancy and after. My Groove Pants have been in my closet rotation since 2015. True story – I never wore shorts. Ever. I walked into a Lulu Lemon about four years ago with my mom to buy her a pair of leggings. The lady asked if she could help me find anything. The fact is I could never find shorts that fit both my (athletic) legs and (smaller) waste without riding up/being uncomfortable in general. She took my challenge and I now own three pairs of these shorts. I will also add I have had all three of these pairs for at least three years. This was a newer purchase for me, and I now own two colors. One of the things I absolutely love about Lulu is how long all of their tops are. They can cover that growing bump with no effort. I did have a tank that my belly hung out of… and I maybe didn’t realize it until I had already walked three miles in public… but I am not including it on this list. One of my favorite things about the Power Y and Power Pose tanks are that they are NURSING FRIENDLY. Hell yes. I would wear these for air travel when Harriet was still nursing. They are stretchy enough to just pull down the selected side and nurse without exposing yourself more than you feel comfortable. Additionally there is a bit of compression, which feels so good on that growing tummy. The Power Pose Tank does not have quite the compression of the Power Y but it is equally long, flattering, and nursing friendly. All of the Swiftly Tech products I have owned are (1) long and (2) resilient. They carried me through nine months of pregnancy and back. I have multiple colors in these styles. (Mom tip – go for a darker color, they last longer). Same benefits, for hotter weather. This is my favorite for hiking with Harriet during the summer. We received this Deuter hiking backpack as a gift from my aunt. I didn’t love having the straps directly on my shoulder, and this gave me lots of air flow while protecting my shoulders. Early on Charlie and I established a rule that if Harriet brings a book to us, we read it. Obviously, there are exceptions if we are in the midst of cooking saganaki, but for the most part if those little feet bring us some literature, we stop what we are doing and engage. In fact, one of my biggest difficulties in not spending too much money on Harriet, is resisting every single book she shows interest in at Costco/Target/Anywhere. We joined our local library and it has not only saved us a TON of money, but we have found some real treasures. Plus, Harriet’s tastes are constantly changing. One week she will only want to read books about dinosaurs, and then a week later, don’t you dare read a book that doesn’t include a car and a duck. Each week I will post our “Books of the Week” with our favorites from our weekly Library Trip! 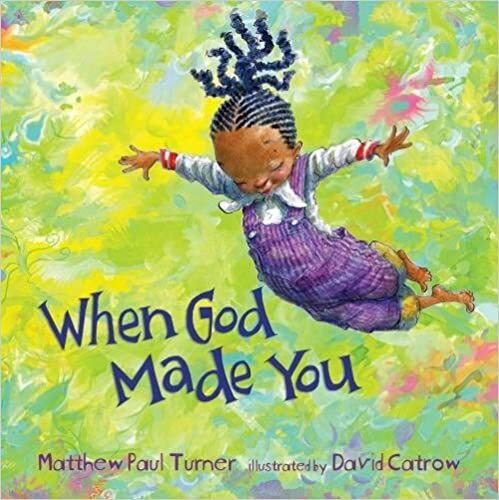 When God Made You – This may be my new favorite book of all time. I heard about it from one of my favorite Instagrammers Mommas Gone City. There is SO much to love about this book. I think it is important to note that it is not necessarily religious per se. It is all about how the world needs this little girl, and how she was designed just as she is meant to be. I know I am entering the third trimester of emotion, but I think anyone would cry their first time reading this book. Also, Harriet sat and read the entire thing. The pictures are stunning. Dance is for Everyone – Absolutely hysterical. 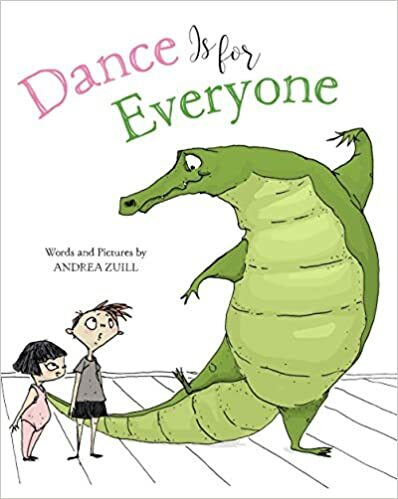 An alligator joins a dance class and the kids are a little weery. Then they realize that alligators come with their own skills and embrace her for her talents! Hattie is very into dinosaurs, so this is a big hit right now. My Heart Fills with Happiness – This book is so beautiful. 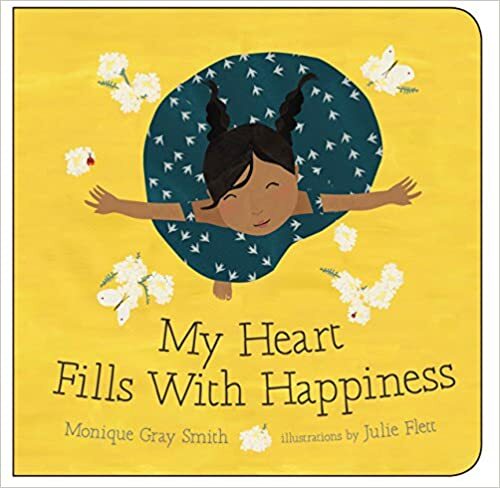 It is very simple and touches on different things that fill the author/child with happiness. Such as dancing, singing, listening to stories… Then at the end it asks “What fills your heart with happiness?” I like to take that opportunity to talk to Harriet about different things that have happened throughout the day that have filled my heart with happiness. (Spoiler – Most involve her!) I look forward to when she can start talking more and tell me what fills her heart with happiness. 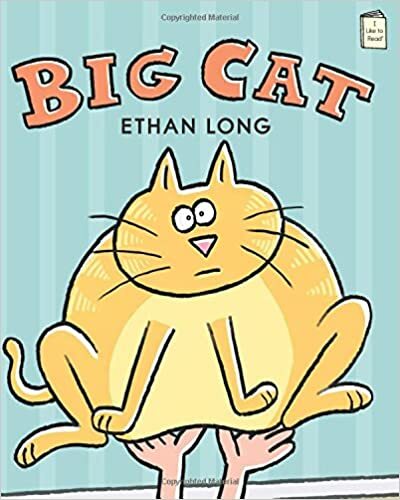 Big Cat – So our cat is definitely considered a “Big Cat.” He is seventeen pounds of pure fluff and sass and this book makes Harriet laugh out loud. It is very simple and I think more meant to be an early reader book. However, we enjoy pointing to the words and in my mind it is helping her learn to read… or torture the cat. 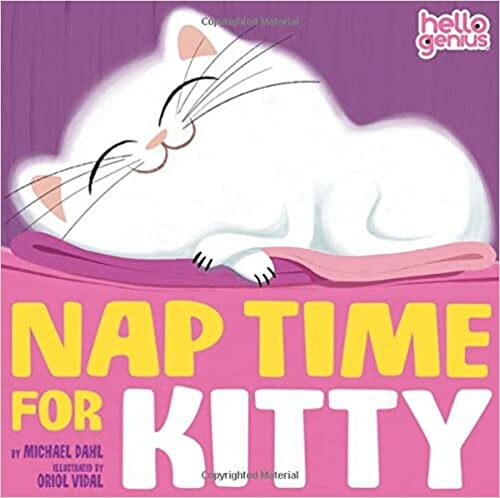 Nap Time for Kitty – Hello Genius books are consistently our favorite. Penguin Says Please and Bear Says Thank You are also big hits in our house. They’re very simple and have repetitive words. Hattie likes pointing to the animals and making their noises. With the Penguin book she learned how to say “please” and will now say “cheese PLEASE” in the cutest way.